1. Place strand 1 over the first adjacent strand in the main part of the rope, and under the next strand (see Fig. 320). 2. In a similar manner pass strand 2 over the strand of the main part that is adjacent to strand 2 and under the next. when properly done the three strands will come out of the main part equally spaced and no two in the same place. 4. In the same manner, each of the three strands is tucked under strands of the main rope about three more times. 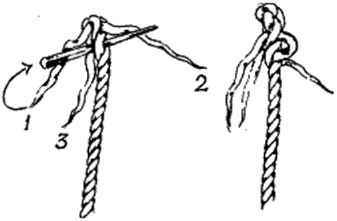 A strand is tucked under but one strand of the main rope at a time. The strands, as they are woven in place, keep almost at right angles to the strands of the main part and work diagonally around the rope, not straight down it. A. 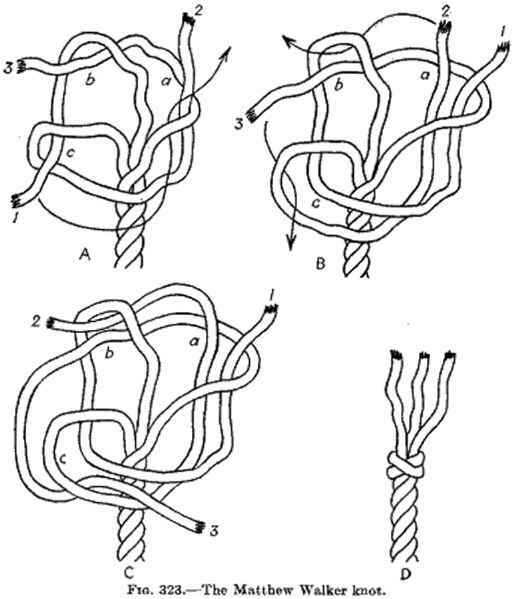 The rope is untwisted slightly and then the first finger of the left hand is placed under a strand, opening up a hole. B. 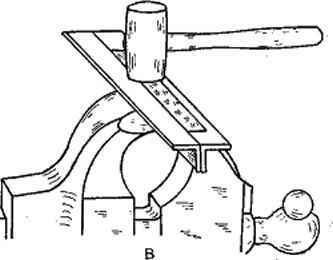 As the finger is withdrawn the thumb pushes the strand through the hole. 5. When the strands have been woven far enough, the loose ends are cut off about K ia. long and the splice is smoothed by rolling it under the foot on the floor. 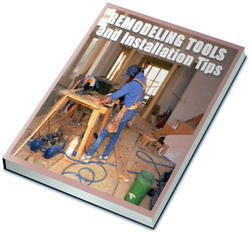 If it is desired to make a tapered splice, part of each strand may be cut out before talcing the last one or two tucks. 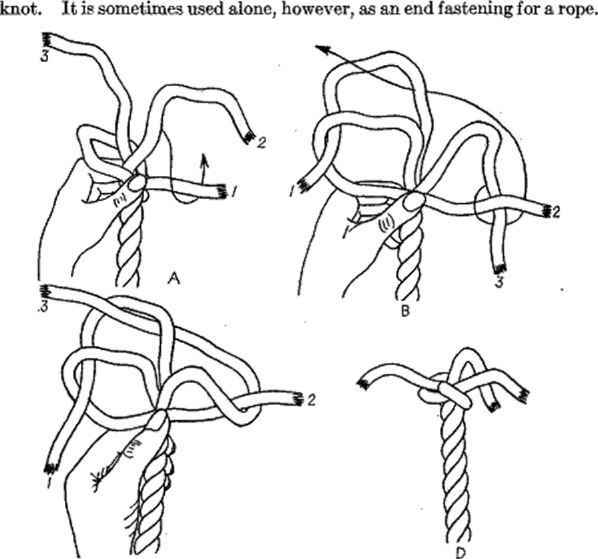 In order to facilitate tucking, the strands of the main part of the rope may be untwisted slightly, with the right hand, and the end of the first finger of the left hand started back through under a strand of the standing part to raise it (see Fig. 321). The end of the loose strand to be tucked under is then placed against the end of the first finger and made to follow it back out by pushing the loose strand with the end of the left thumb. 1. Unlay the strands alwut 3 or 4 in. and hold the rope in the left hand, loose ends up. 2. 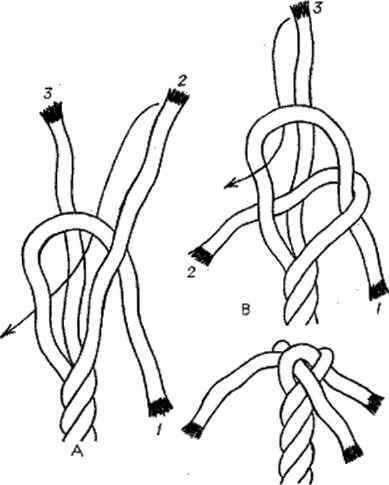 Bring strand 1 halfway around and across in front of the rope, holding it in place with the left thumb (see Fig. 322). 3. Pull strand 2 down and around the end of strand 1, releasing strand 1 from under the left thumb and placing the thumb on strand 2 to hold it in place. 4. In a similar manner, pull the end of strand 3 down and around the end of strand 2 and pass the end of strand 3 up through the loop of atrand 1. 5. Draw the strand« up evenly and tightly.